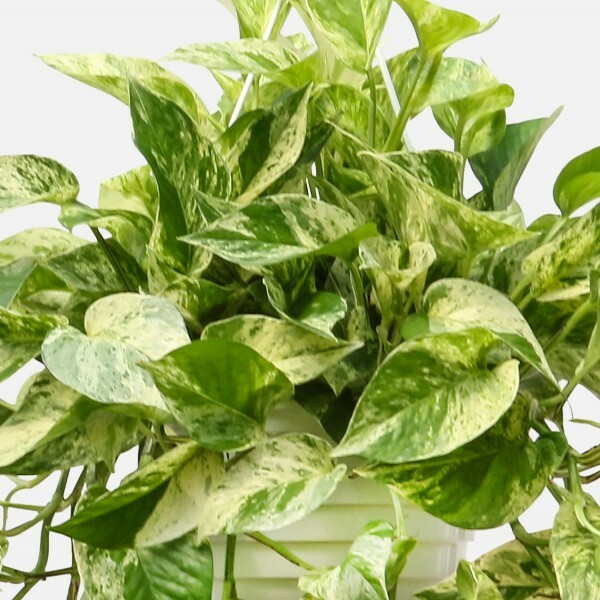 Long, cascading vines of glossy, speckled leaves make the Marble Queen Pothos an attractive hanging plant. The Marble Queen Pothos will survive in low light, but thrives in medium to bright, indirect light. If the light is too low, the white swirls on the leaves will not appear on the new growth. 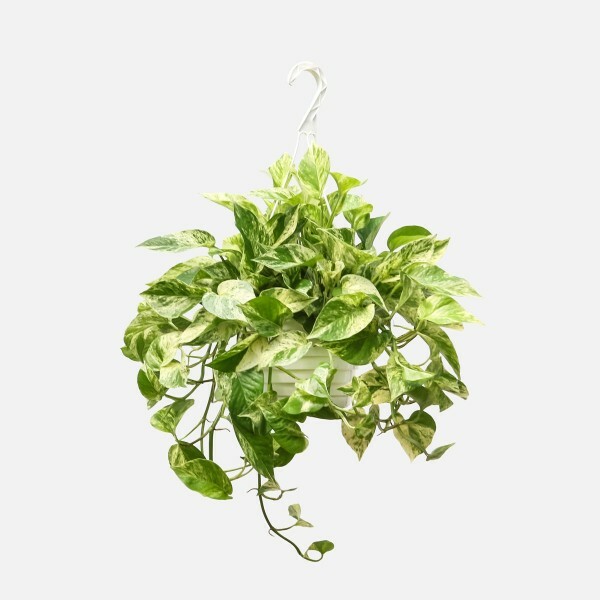 Easy to care for and great for purifying the air, you could have the Marble Queen Pothos for many, many years. PlantShed delivers hanging plants anywhere in NYC.